Are you aware of any properties that may suit our 2014 Property Requirements? 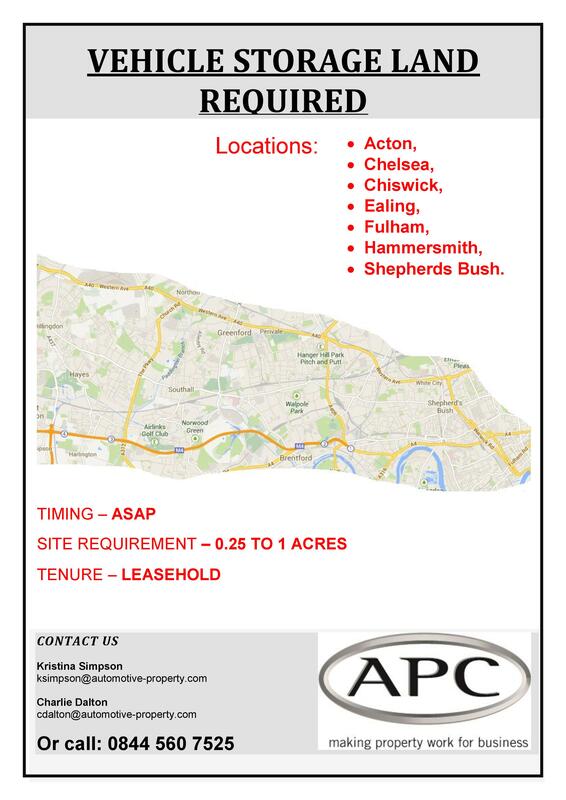 We have a vehicle storage land requirement in Acton, Chelsea, Chiswick, Ealing, Fulham, Hammersmith & Shepherds Bush. We are looking for Leasehold sites of between 0.25 – 1 acres. If you have any sites that may be suitable please contact us. 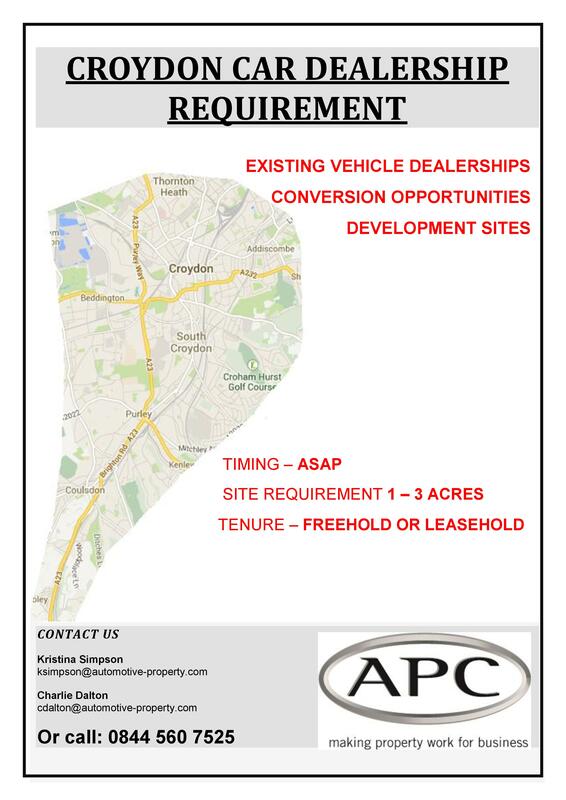 We have a Car Dealership requirement in Croydon. We are looking for sites of between 1 – 3 acres. Freehold or Leasehold. Please take a look at our 2013 property requirements list! We are looking for sites of around 1 acre (0.4 hectares) capable of accommodating around 12,000 sq ft (1,114.8 sq m).